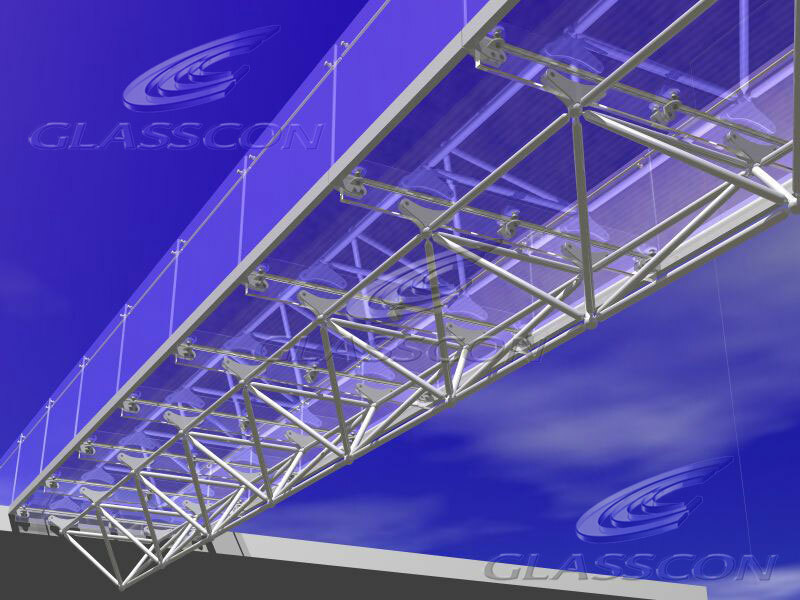 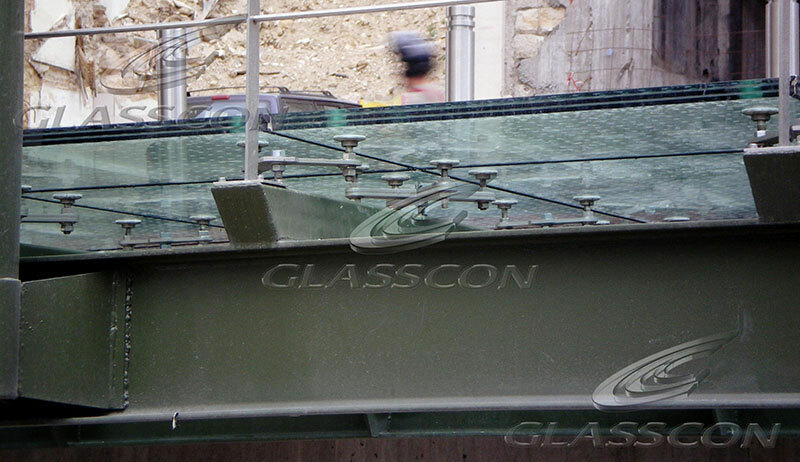 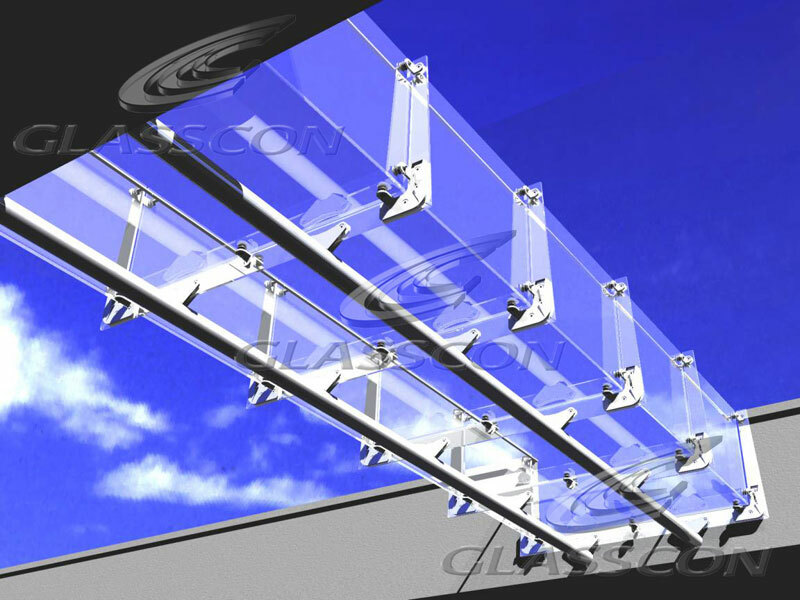 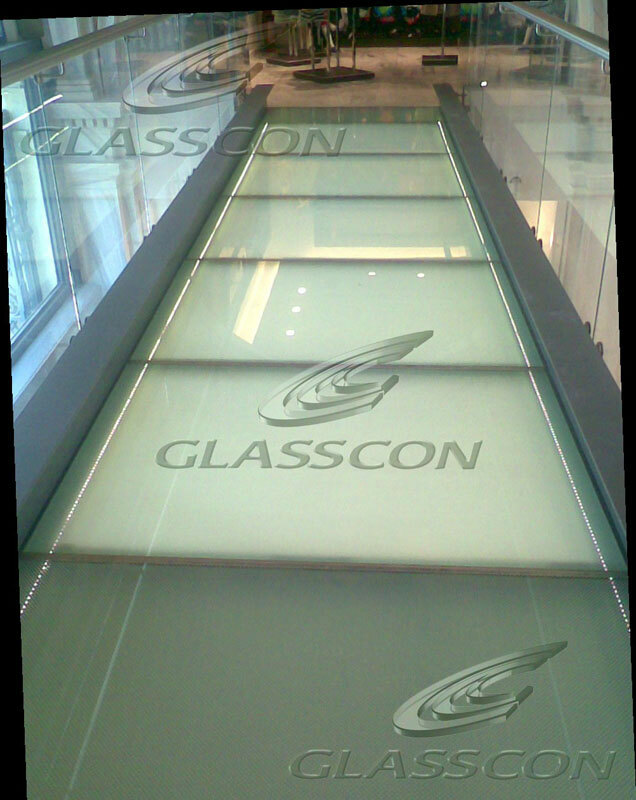 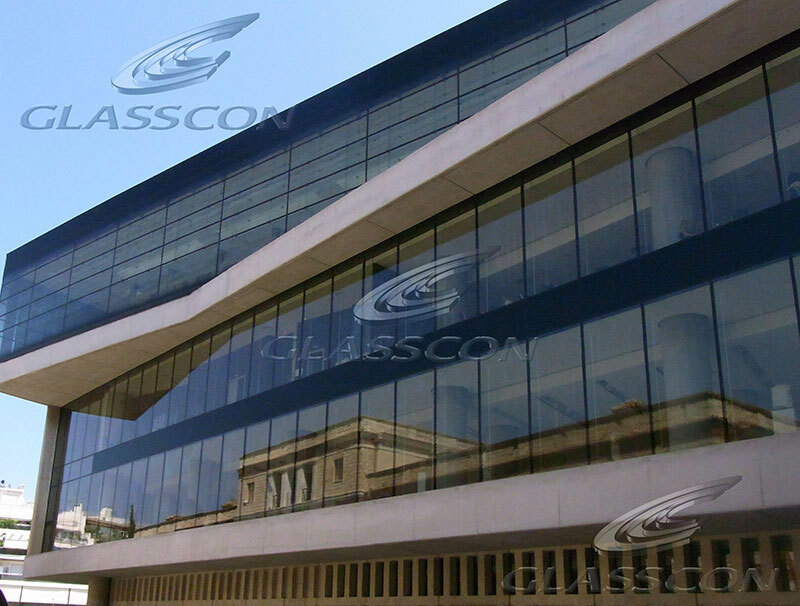 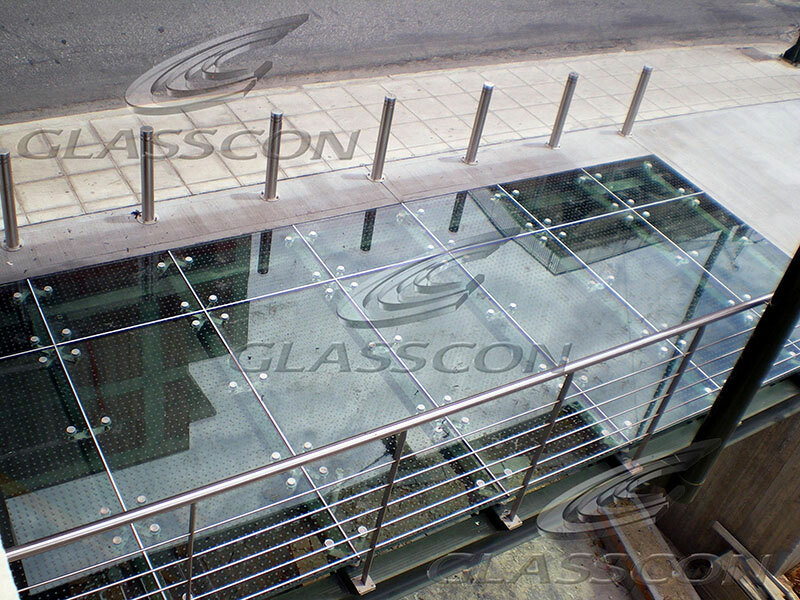 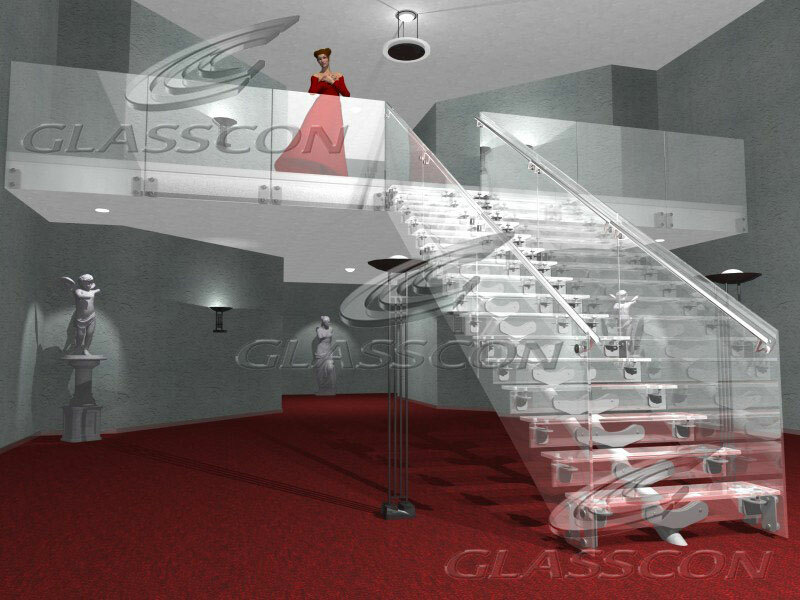 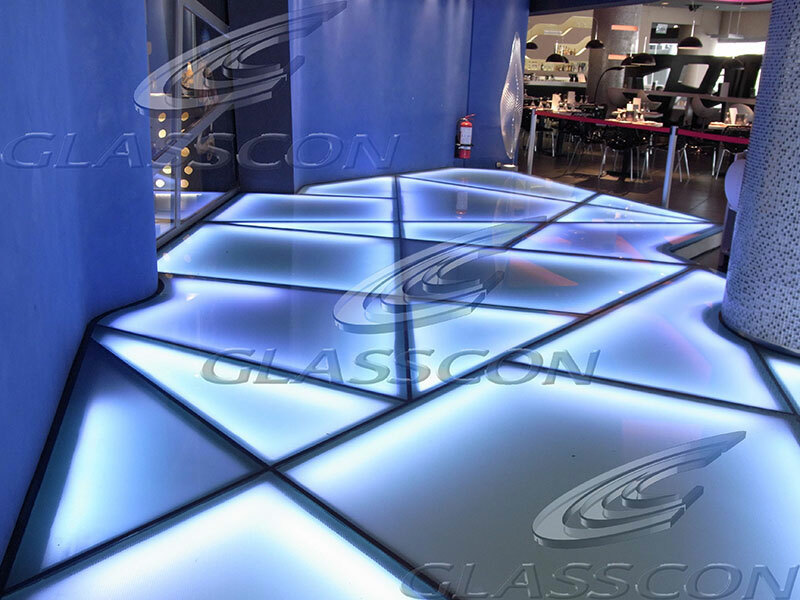 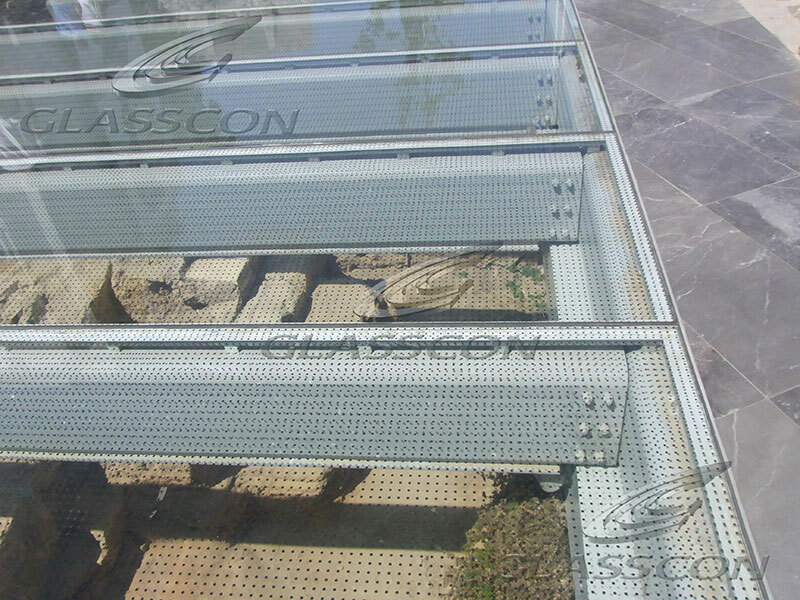 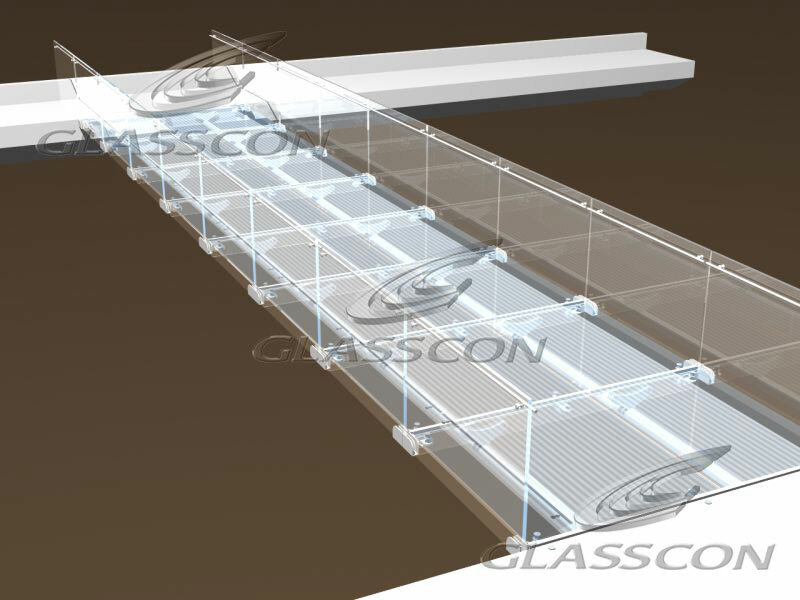 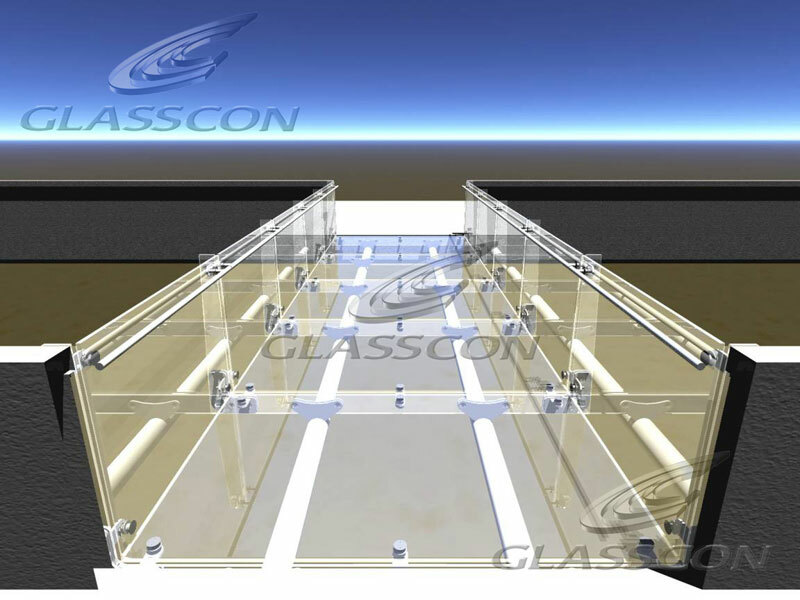 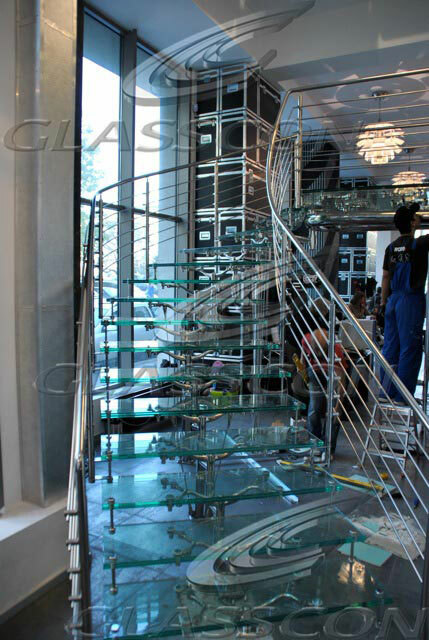 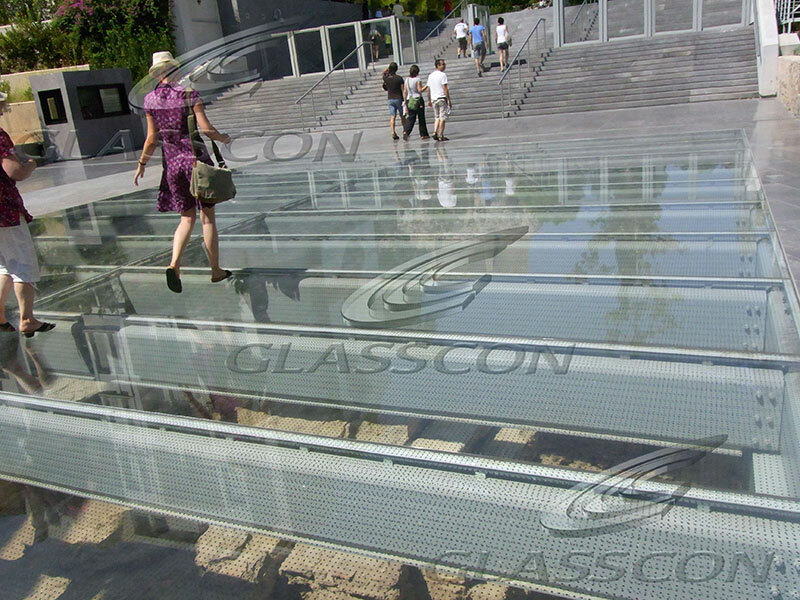 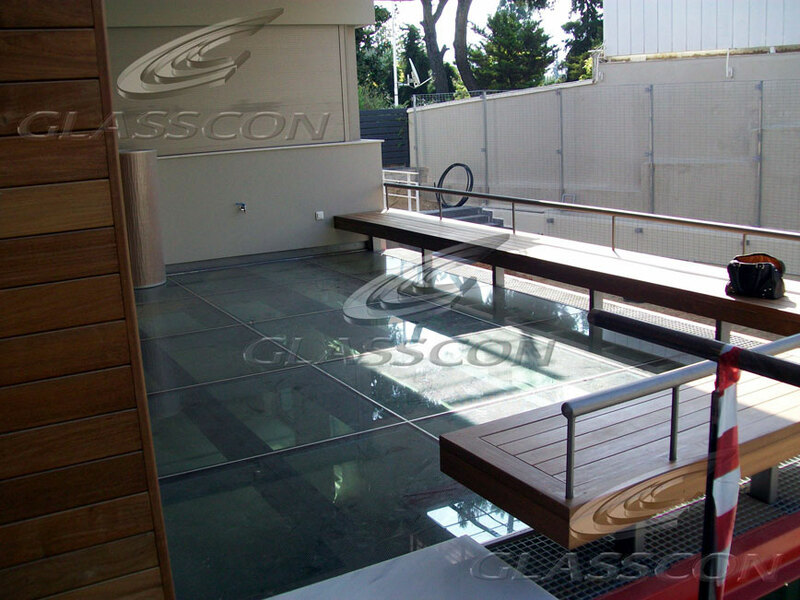 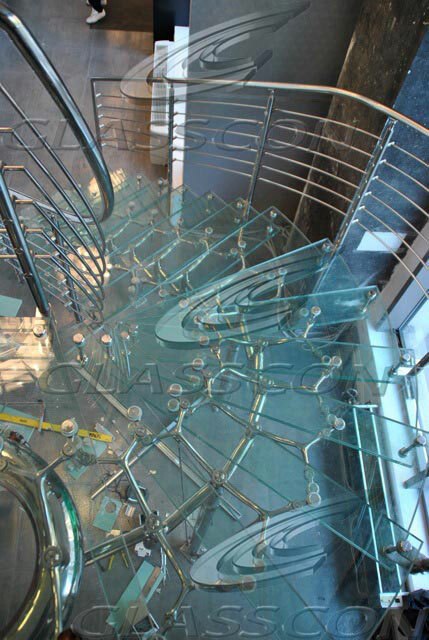 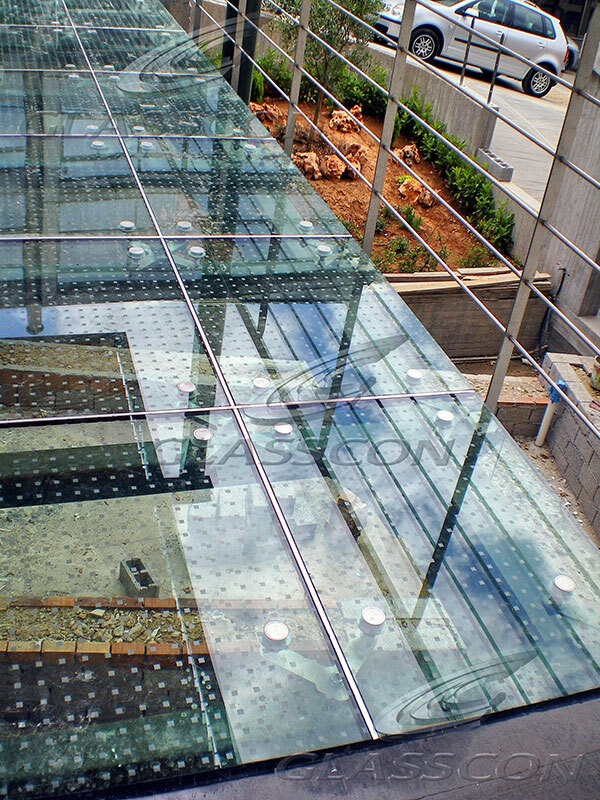 GLASSCON designs and delivers all kinds of glass walkways surfaces, glass stairs, glass staircases, glass flooring systems, glass floors etc using laminated and tempered/strengthened glass. 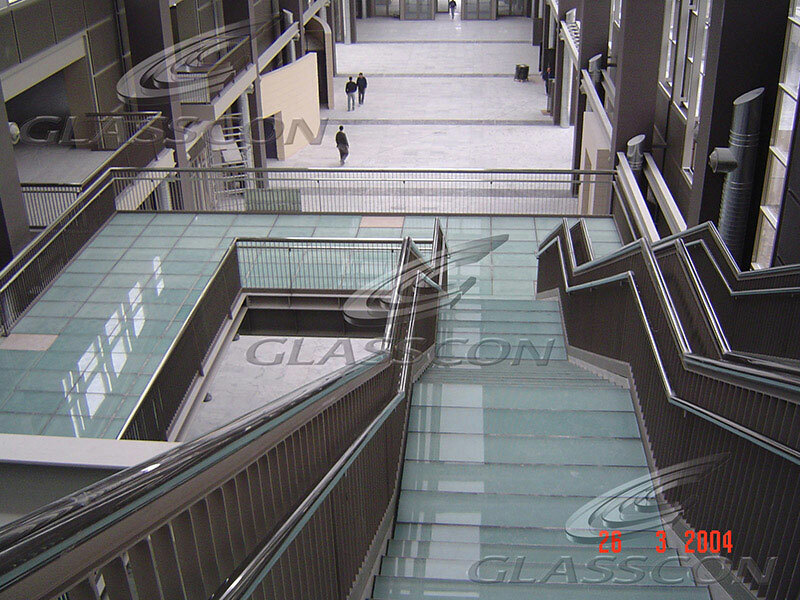 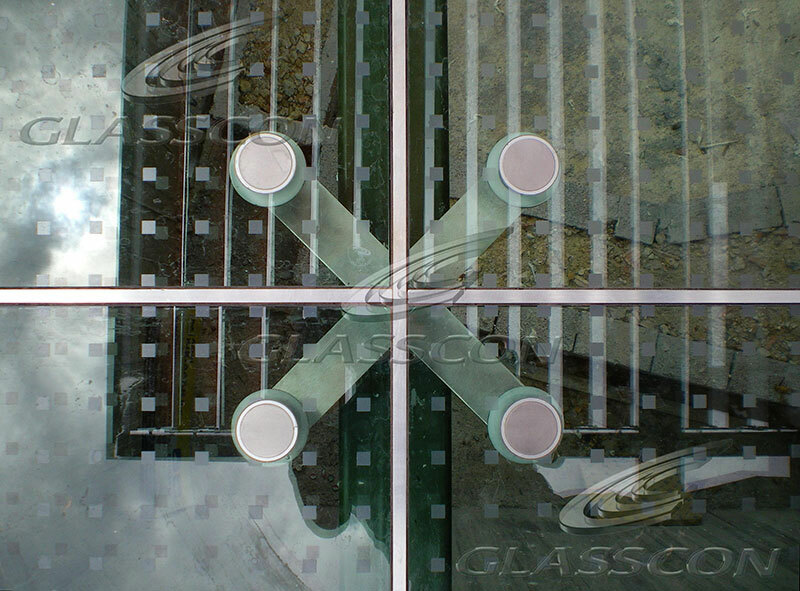 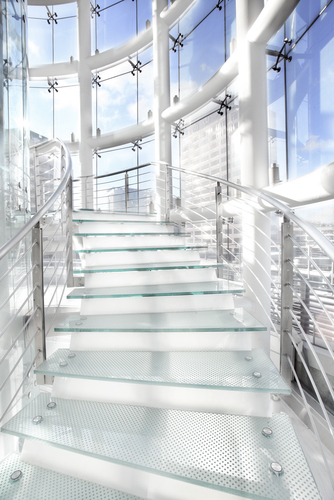 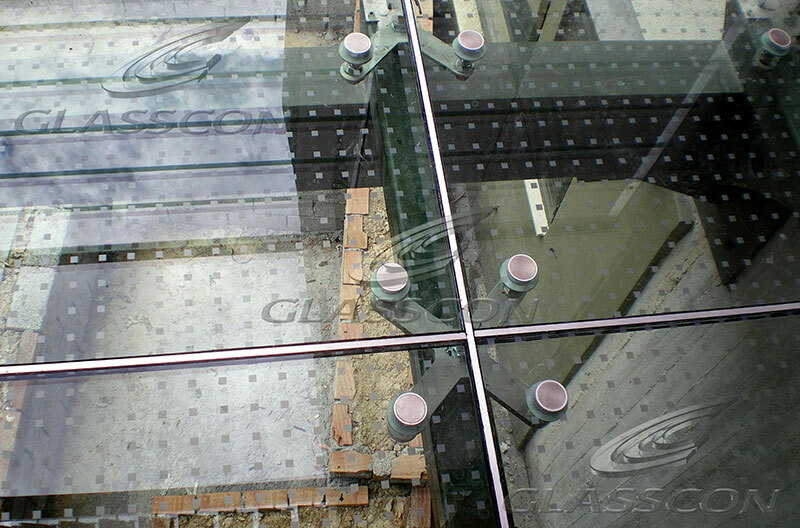 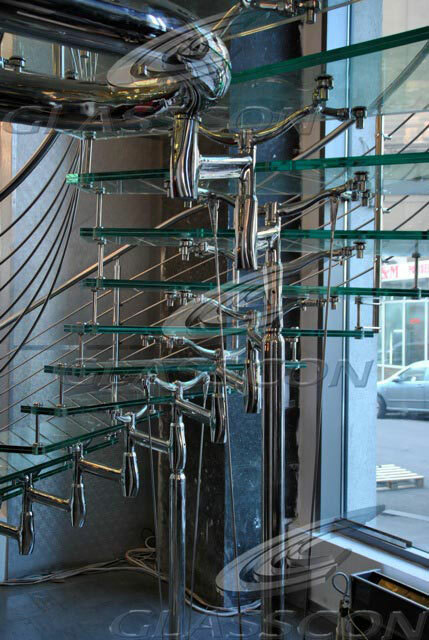 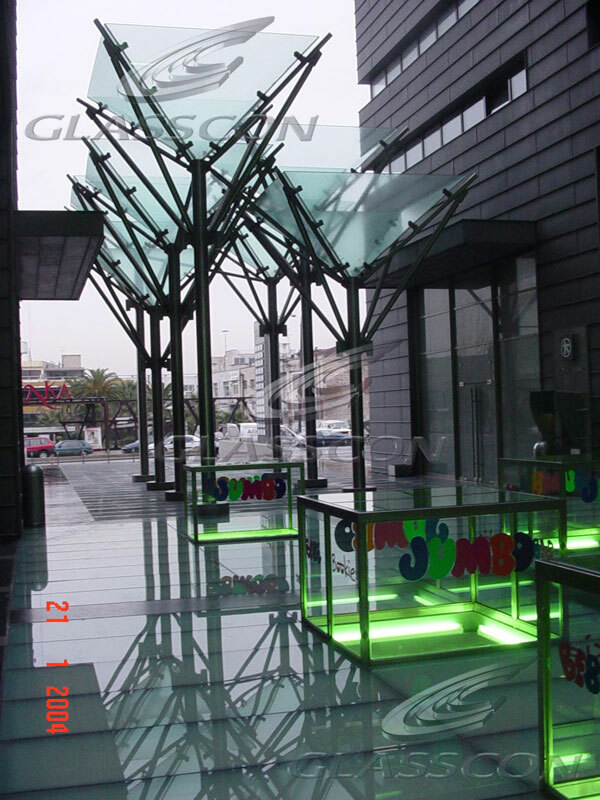 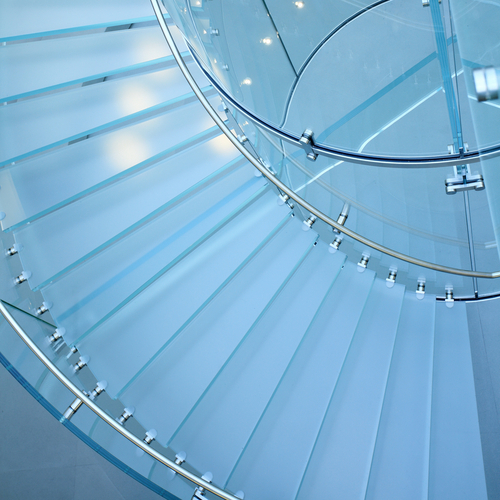 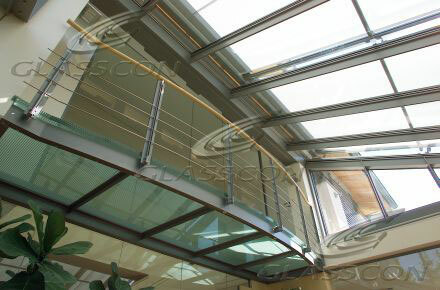 Laminated and strengthened glass is slip resistant and translucent and provides safety and visual discretion. 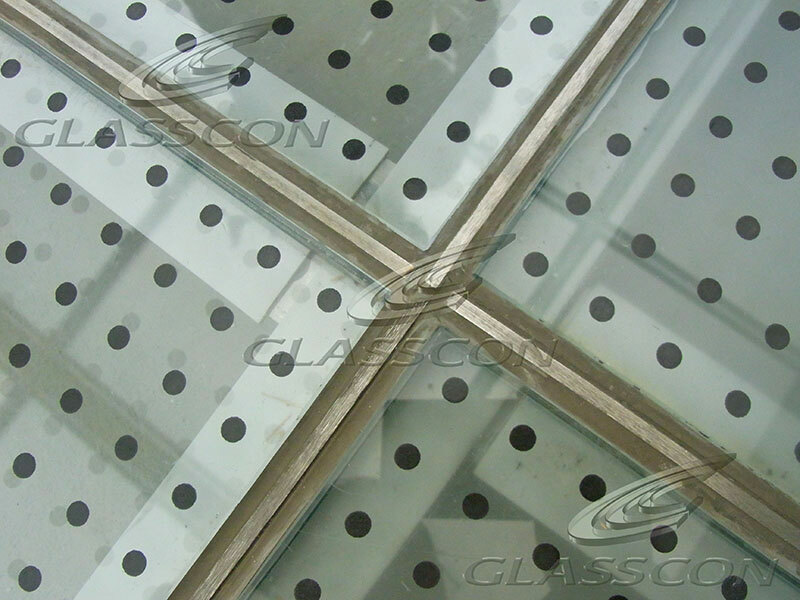 The surface treatment can be etched or frit patterned. 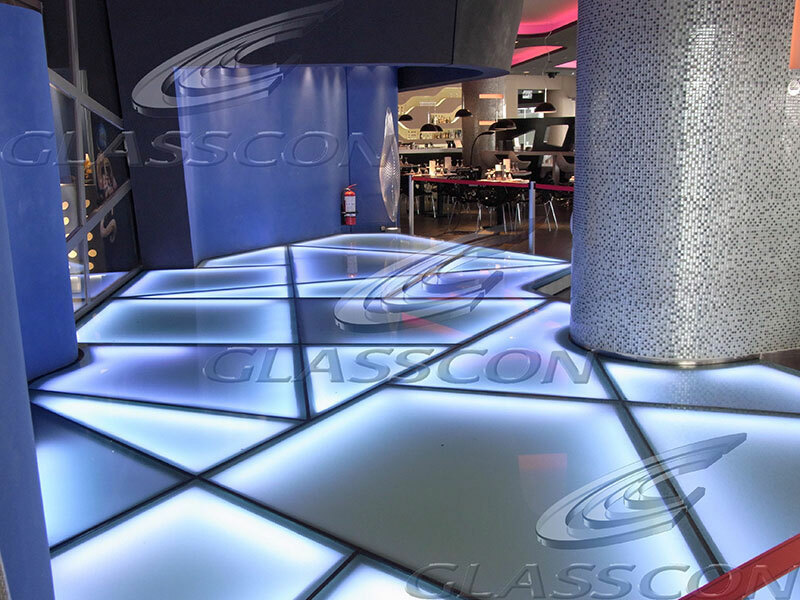 The silicone joints for floors are comprised of wet silicone and rigid backer. 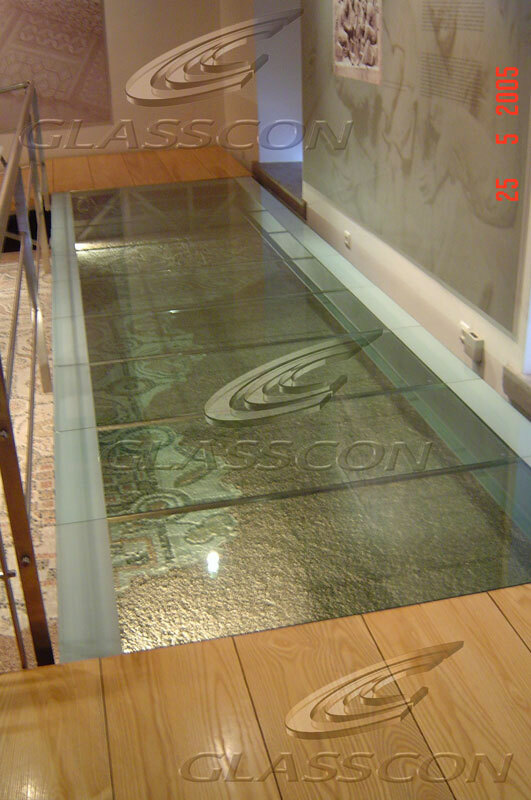 The glass floors can be applied in many ways like horizontal or slightly inclined glass walkway surfaces or glass treads in staircases. 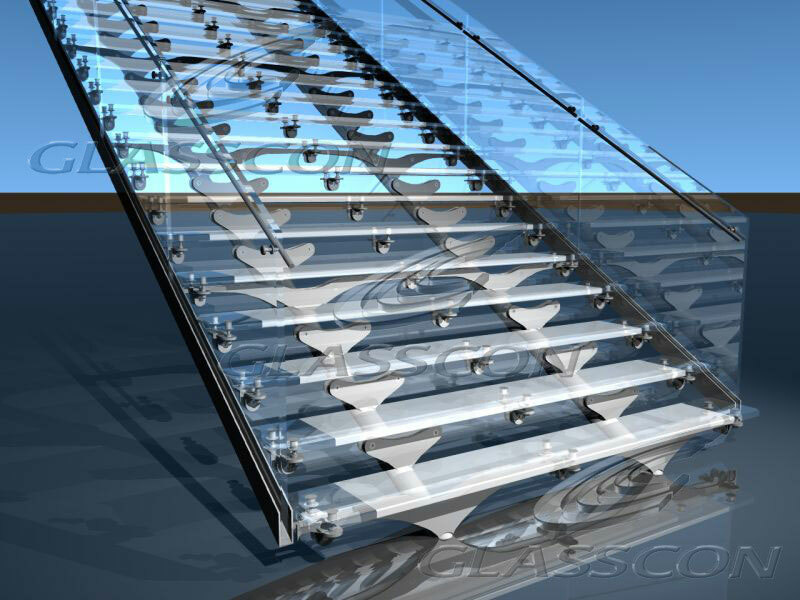 It can also be used only as flat panels supported along their edge. 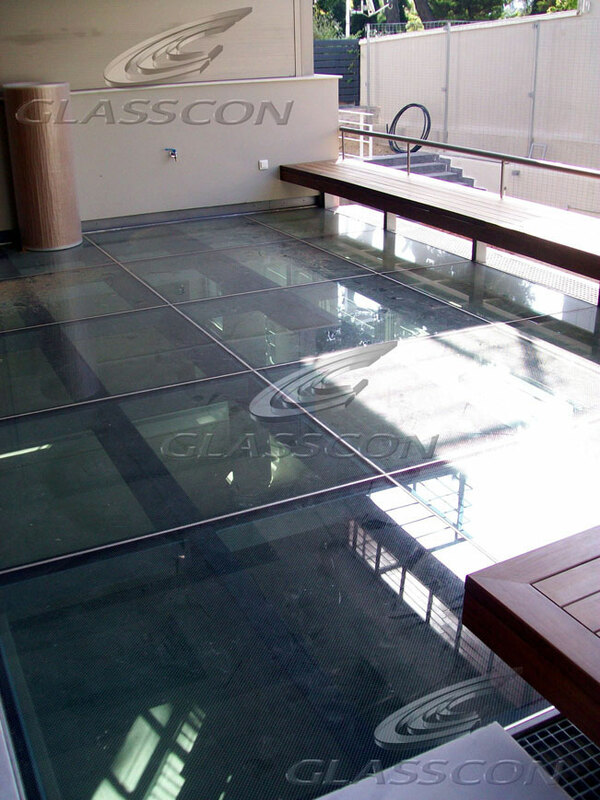 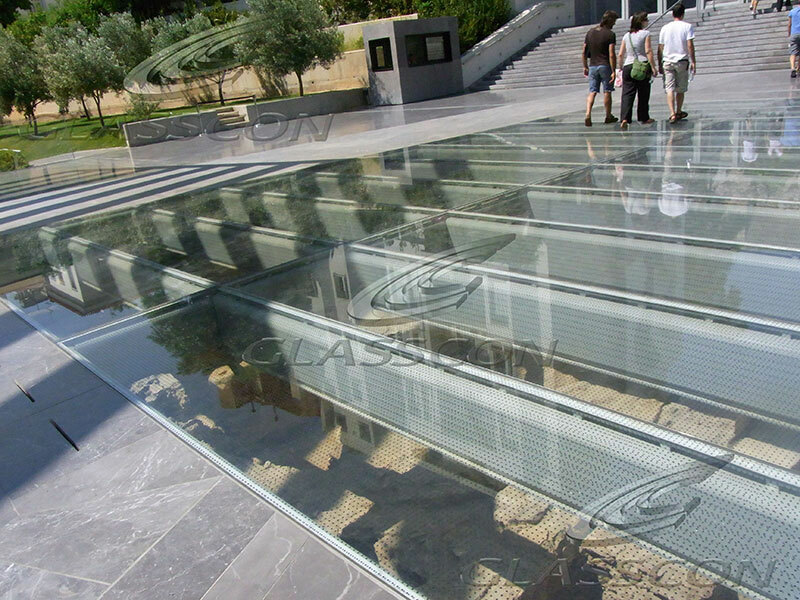 The advantages for using glass as a flooring material are a) the ultra contemporary clean design aesthetic b) there is no use of secondary aluminum structural profile systems c) the glazing attaches positively directly to the structure d) the glass can be 2, 3 or 4 sided support e) a wide variety of methods to mechanically fasten the glass exist: point supported, linear supported or by pressure plate f) nominal interruption of glass surface for reduced shadowing g) the glass panels are designed using finite element analysis for maximum safety k) relatively large panel sizes and loads can be accommodated i) Exposed glass edges are ground or polished to reduce potential of damage in use. 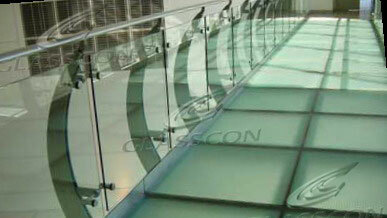 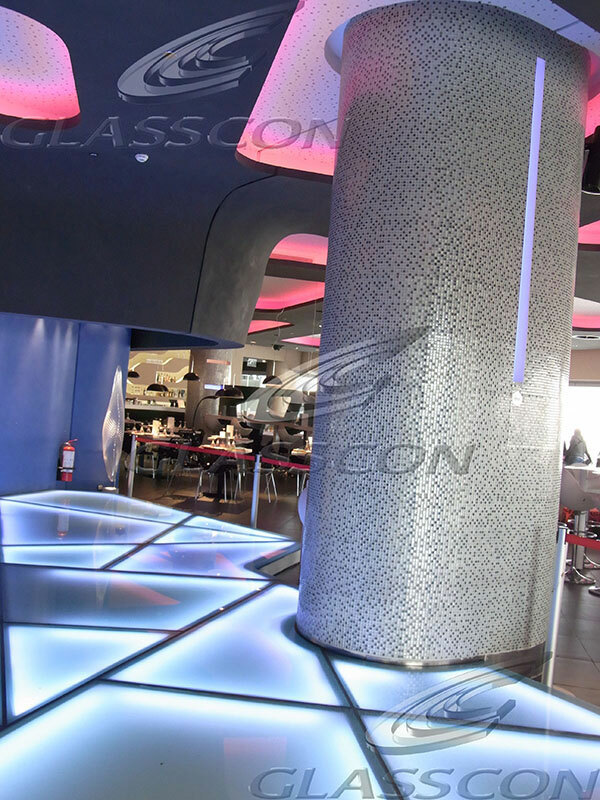 The glass can be standard fritted glass surface with etched or patterned etched as glass options.